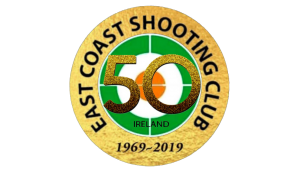 The club Christmas shoot will be held next Sunday commencing at 10:00 a.m.. All members are encouraged to attend as the two major aims of this competition are for members to enjoy themselves and to raise money for local charities. Please bring a prize to win a prize. The competition will consist of the following 3 sections, with the maximum possible score from each section of 100 points. 1. Shotgun 10 clays, 5 from each of two traps in a pull and bang format.Club shotguns available. 2. Rifle. 5 zeroing shots followed by 5 shots on each of two targets. Shot rested from the bench. Only the club rifles and ammo are allowed to be used in order to level the playing field. 3. Pistol. 10 shots allowed to knock over 5 targets of varying sizes placed at 25 metres. Shot standing, two handed. If any rounds are left after all the targets are knocked over then each will count as 10 points hence if you knock over 5 targets with 5 rounds you score 100 points. If you knock over 3 targets with 10 rounds you score 30 points.Club pistols and ammo to be used by all entrants. Please dress for the occasion. We will have a special award for the silliest hat, except for those members who usually wear silly hats. (you know who you are).